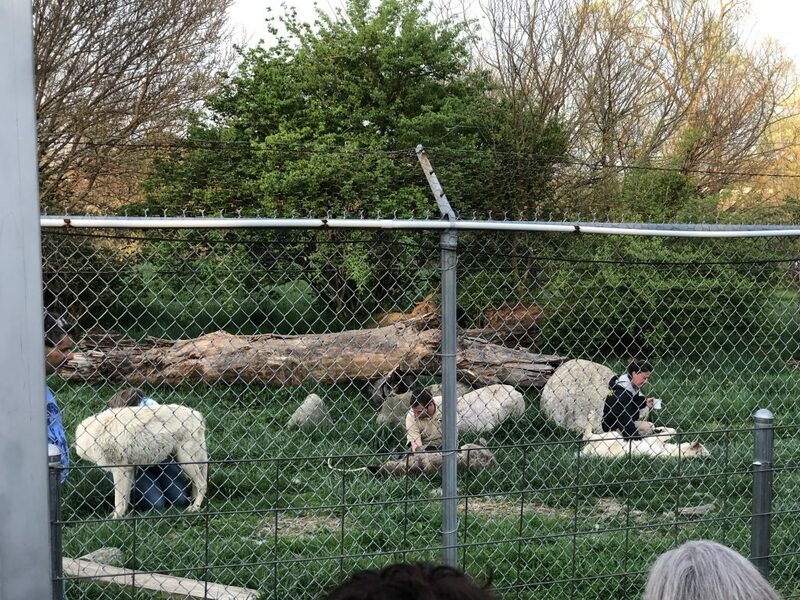 Get ready to participate in a one-of-a-kind event at Wolf Park in Indiana. 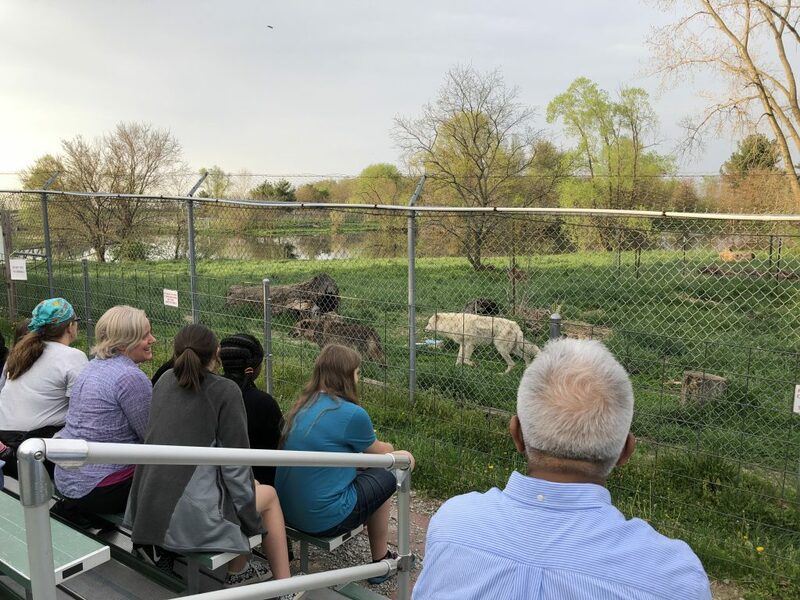 Here, you’ll participate in a wolf howl chorus as you join your voice with Bicho, Kanti, Fiona and other wolf packs on the property and even some coyotes that call the area home. This popular evening event happens every Friday and Saturday during the summer, weather permitting. We arrived at 7 p.m., gates open at 7:15 p.m., and there was already a line of cars. No worries about being late or the event starting without you. The presenters are very welcoming and make sure that everyone is seated before beginning their presentation. Prior to the wolf presentation, there is a short talk about foxes, which, for the record, are absolutely adorable! 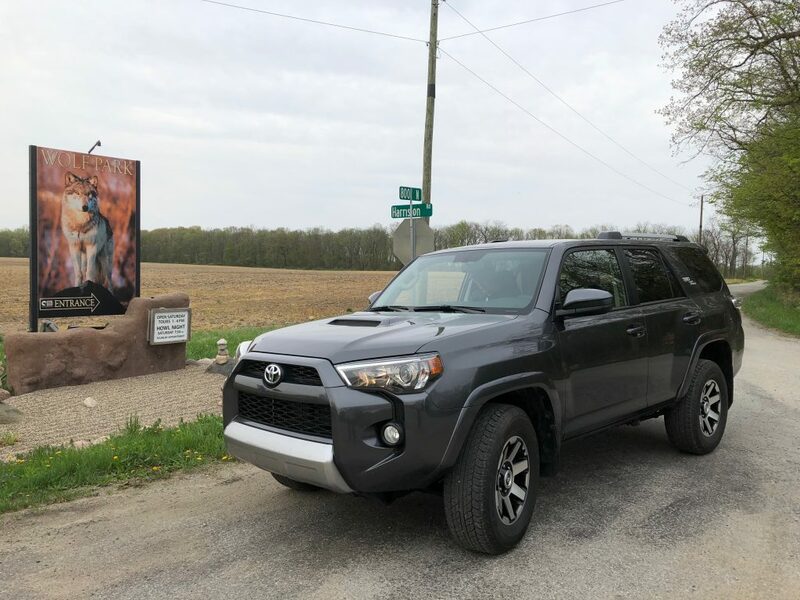 The Toyota 4Runner took us to the best places including Wolf Park in Battle Ground, IN. The wolf program starts right around 7:30 p.m. with a chat about wolves and wolf behavior. It’s an interesting and interactive discussion that covers everything from myths about wolves to why wolves howl. Oh, and, of course, before they started the chat we had to give the wolf howl a good ‘ole try. 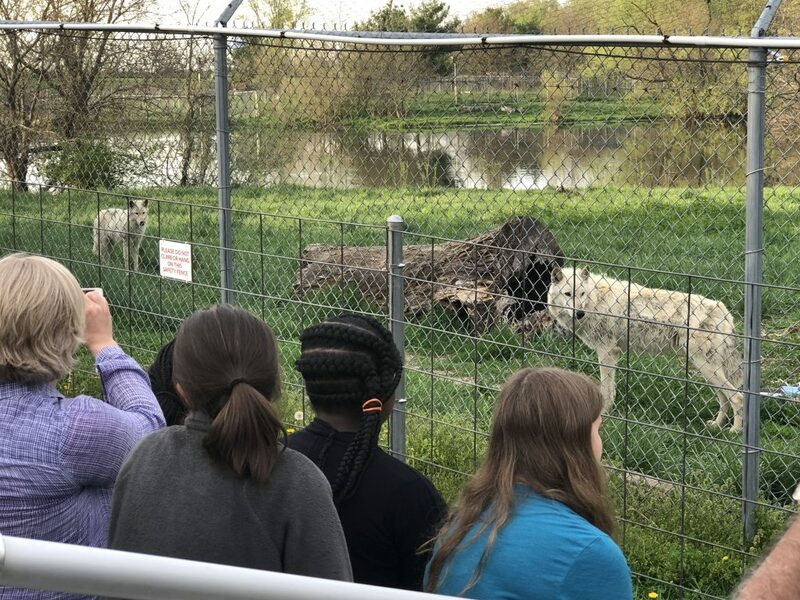 As we were learning about wolves I glanced to my right and saw Bicho, Kanti, and Fiona trotting down the path to the area near the bleachers. Wolves are beautiful creatures and I was immediately taken by them. 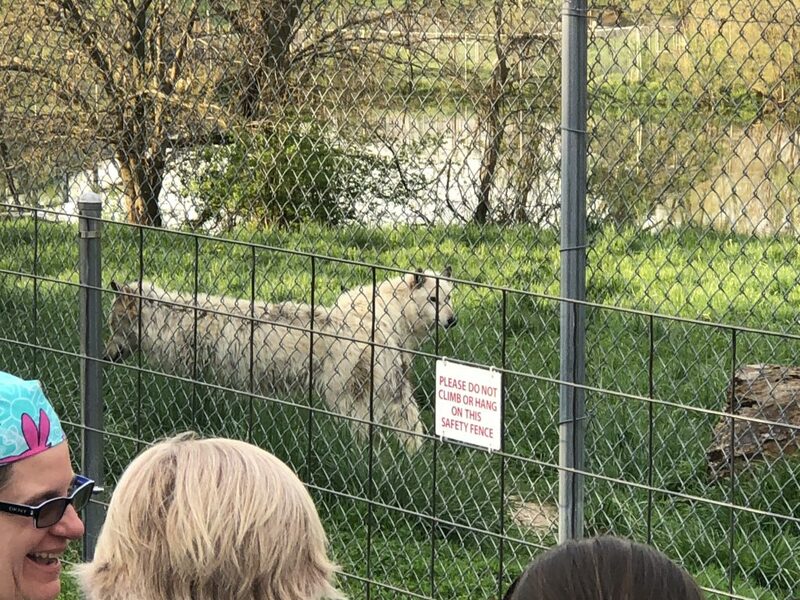 Once the initial chat was over, long-time photographer and employee of wolf park took over. 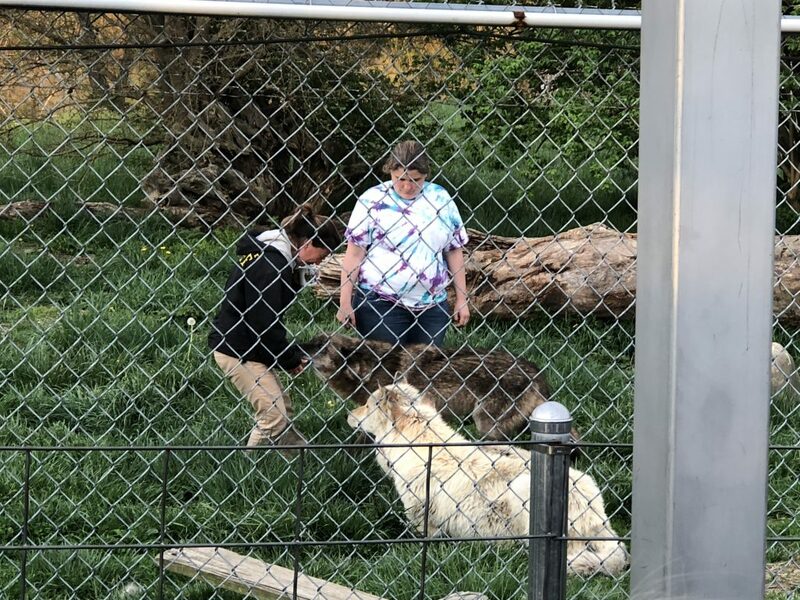 He stepped into the wolve’s habitat with a few other handlers and continued the chat while explaining their behavior. Fiona REALLY loves Dan, a newer handler, and spent the majority of time rubbing against and licking him which I found comical. All the wolves loved rolling around in coffee that was drizzled on the ground for them, but Bicho and Kanti seemed most taken with the experience. After the presentation, we tried howling as a group to see if the wolves would join in. After a couple of attempts, the wolves finally accommodated us and joined their voices with us if only for a few moments. Planning a trip to Lafayette, Indiana? 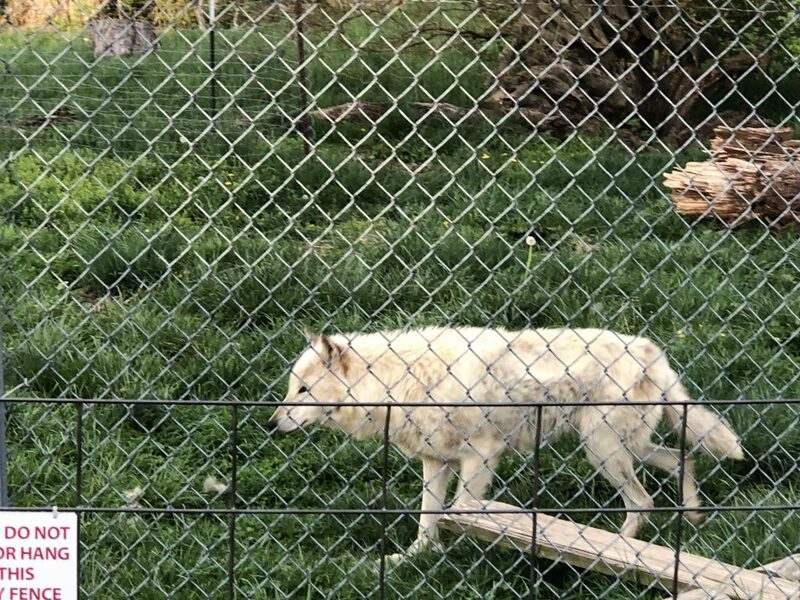 Wolf Park is nearby and is completely worth the visit. Find more fun things to do in Indiana here.